O’Hare was charged on 9 June 2015. He appeared before the Dublin District Court today where he was served a booked of evidence. PROMINENT REPUBLIC DESSIE O’Hare, known as the Border Fox, is to stand trial in the non-jury Special Criminal Court accused of threatening a man’s life and false imprisonment of three people in Dublin. O’Hare, aged 61, with an address at Slaterock Road, Newtownhamilton, Co Armagh, was charged with threatening to kill or cause serious harm and false imprisonment of a man at Rathcoole in Saggart, Co Dublin, on 9 June 2015. He was also charged with falsely imprisoning two other members of the same family, a male and a female, at a house at The Towers, Garter Lane Saggart on the same date. He was charged a third time for engaging in violent disorder and assault causing harm to another man at the same location. He appeared again at Dublin District Court today when he was served with a book of evidence. State solicitor Rioghnach Corbett told Judge Grainne O’Neill the Director of Public Prosecutions (DPP) has certified that O’Hare was to be returned for trial to a sitting of Special Criminal Court. The non-jury court is used for trials involving organised crime and terrorism offences. 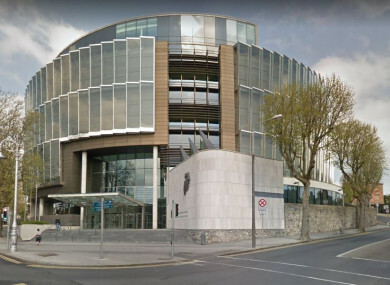 The decision was made under Section 46.2 of the Offences Against the State because in this case the “ordinary courts are not effective for the administration of justice”, Judge O’Neill was told. The DPP’s certificate was handed in to court. A date for his appearance before the Special Criminal Court has not yet been set but the state solicitor said she would notify O’Hare’s solicitor when it was known. Judge O’Neill acceded to a request from defence solicitor Eoin Lysaght to grant legal aid which included representation of senior and junior counsel for O’Hare at his trial. She told the accused he was being returned for trial and must inform the prosecution if he intended to rely on an alibi in his defence. There was no objection to him remaining on bail. O’Hare, who did not address the court, has not yet indicated how he will plead to the charges. At his first hearing in January, bail was set in his own bond of €100 with a €20,000 independent surety. The terms stated he must reside at his current address and the PSNI and the Garda must be notified of any change. He also had to surrender his passport, be contactable by phone, abide by a curfew and sign on daily at a Garda station in Co Monaghan. Email “Dessie O'Hare to stand trial accused of false imprisonment and threatening a man's life”. Feedback on “Dessie O'Hare to stand trial accused of false imprisonment and threatening a man's life”.